The planet Mercury influences communication has moved away from Virgo, who is centered on completion of tasks and order, and into relationships. Along with Mercury, the Sun also is in Libra and Pluto turned direct yesterday, which helps with more active, forward communication. But with both Mercury and the Sun in Libra, intentions in relationships come through loud and clear, today. Which is a good thing! But Mercury and Sun in Libra help all zodiac signs learn how to open up discussion. The Scales of the zodiac loves to ask great questions, learn all about you, and help you discover your own areas of strength. With Mercury in Libra, this means that intentions and actions will be closely mirrored from one another. 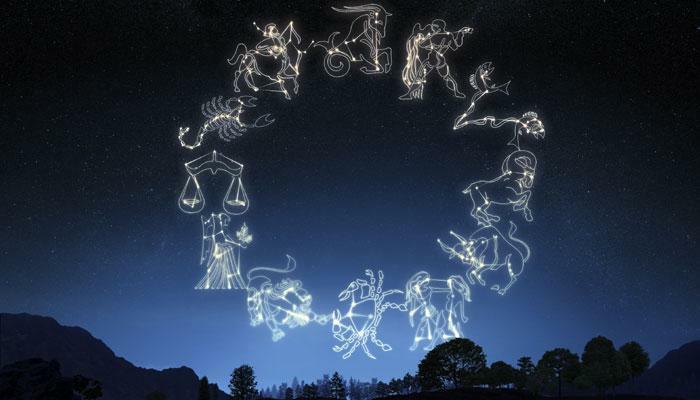 To find out more, look for your zodiac sign below to find out what’s in store according to your horoscope for today. If those around you don’t want to follow your lead, you have no other choice but using an alternative way to accomplish your goals. Certainly it might be more interesting to have someone else do it and not be completely on your own, but that’s just the way it is! Perhaps the little opportunities you have had in the past haven’t been very rewarding to third parties, hence their hesitation to get involved, but you can change it from today, so that everyone will get enthusiastic. There are some particular issues you are very fond of and have not been able to give up, although they don’t directly affect you. You have many other things to think about first, and today again, you will have no time to dedicate to your other so. Someone won’t miss the chance to remind you again to slow down your pace, and beware to prepare your parachute, just in case you fall. You have some good premises for today, try not to lose them on the way and make sure everything matches perfectly. Your intentions will never be so clear, at least not if you continue taking on so many tasks at the same time. Each of us has lost opportunities, but it always depends on how much you believe in a project and how much you want to put it into practice. Everything else, like past defeats or delusions, don’t count in front of a wide open door! Much more than in the past, your desire to put into practice a project is drastically reducing because of the ever-increasing rocks you found in the past. However, instead of crying, you just need to change the way. Always with the same project you could have different possibilities and not just one. There are several ways to reach the same goal. Surely you did not want to deepen in the matter, otherwise you would have already understood it yourself! A favor could cost you nothing or too much today. It will depend a bit on the types of commitments you have taken and whether you have followed the recommendations of the past few days. What is certain is that you can’t really refuse to jet. No matter your reasons to refuse, they will just sound like excuses. There is a risk of appearing a little too indifferent when you don’t bend to altruism!